New roofing and insulation is shown being delivered and positioned on the roof of the ongoing Skylight Lofts project in downtown Urbana this week. 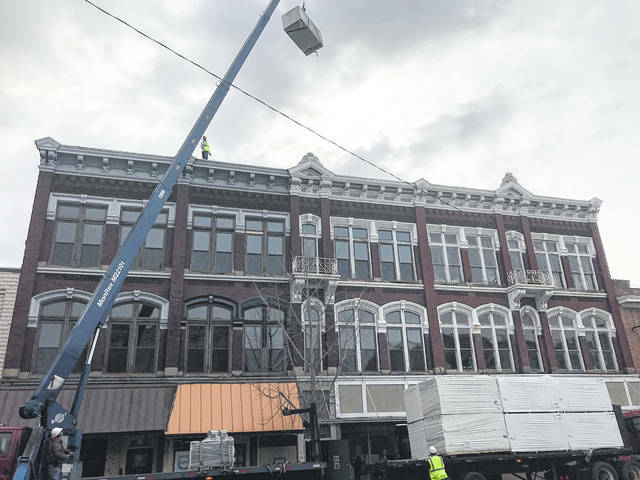 This marks the first phase of the project’s development on North Main Street that will establish 12 residential units within old downtown buildings that currently have vacant upstairs interiors. Expected date of completion and loft apartment availability is August 2020. Developer Dr. David Smith said on Thursday the Skylight Lofts project’s total square footage is bigger than the Douglas Inn.